An A-list ensemble headlines writer/director Drew Goddard’s sensational follow-up to The Cabin in the Woods. Where to start with a film so elusive but generous, so referential but singular, so familiar but mysterious as Drew Goddard’s follow-up to beloved horror-comedy The Cabin in the Woods? The title evokes 1950s westerns like Gunfight at the OK Corral, and the film is drenched in pulpy references – but it is not purely a pastiche. Bad Times at the El Royale has its own strange and multi-faceted identity as a mystery, a treat, and a vessel for hellishly chewy performances by some of our brightest and best. The opening scene is made of montage cuts of Nick Offerman taking apart a hotel room and then putting it back together to the sunny pop strains of ‘26 Miles (Santa Catalina)’ by The Four Preps. The sound is so infectiously upbeat that it’s a shock when Offerman, having beautifully reassembled the room, is suddenly gunned down. It’s ‘10 years later’ announce curlicued intertitles. Father Daniel Flynn (Jeff Bridges) and Darlene Sweet (Cynthia Erivo) meet in the parking lot of the El Royale. “How’s California?” he asks. “How’s Nevada?” she asks. The El Royale runs across both states as indicated by a thick red line that acts as a border. Once inside we find out that rooms in Nevada cost a dollar less, and only California has a liquor licence. Revealing all this is the nervous lobby boy, Miles (Lewis Pullman), who performs every job. Busting into the lobby come more A-listers with extraordinary names. There’s Jon Hamm as cheesy Southern hustler Laramie Seymour Sullivan. In slinks Dakota Johnson as tense hippie Emily Summerspring. The air is pregnant with inference and everyone is guarded but not about the same thing. All the while the eye is stimulated by the lovingly recreated vintage production design shot with beguiling grace by Seamus McGarvey. Goddard enables his collaborators to show what they can do. On one level this film scans like a succession of virtuoso solo performances, except that in McGarvey’s case he is the conductor whose rhythmic camerawork keeps everything flowing. He achieves fluency while slotting in all manner of techniques: suggestive close-ups, god’s eye view shots, long circling takes that explore the hotel space – a space we never leave except in flashback. Everyone has a secret past and violence occurs without signposting or warning. The Cabin in the Woods bet its hand on a spectacular twist, whereas Bad Times at the El Royale is more like a roulette wheel, less invested in where things go than in the thrill of watching colourful characters spinning and knowing that some have to lose. There is a scene in which Darlene Sweet sings ‘This Old Heart of Mine’ in time to a ticking metronome. She is looking into a mirror, not knowing that it is double glass and that Laramie is watching her in a dank hallway on the other side. Her voice is powerful, beautiful, evocative. As she sings “I love you-ou-ou” there is a chilly rumble on the sound design beneath her words. This is how things work at the El Royale: each surface, each floor, each wall conceals something rotten or valuable or both. Goddard has created a location full of tricks – just like a film set. But this is more than an exercise in clever-clever creative trickery. The strange relationship that grows between Father John Flynn and Darlene Sweet is a moving sign of life in a hotel that, as Miles puts it “is no place for a priest” and becomes a true hellhole once shirtless Chris Hemsworth shows up as Charles Manson-like cult leader Billy Lee. Darlene is a singer whose flashback folds in a cameo by Xavier Dolan (!) as a bullying record executive who sneers that she will end up in Reno. Reno is where Darlene is headed the very next day in the present timeline. Yet – regardless of what success or financial rewards have eluded her – Darlene’s musical soul is where the film lives. “You’ve really not heard of The Isley Brothers? Then we’ve got some work to do,” she tells Flynn before taking control of the jukebox. The Supremes, The Four Tops and Gloria Gaynor are on the playlist as the film offsets its moral bleakness by leaning into bangers which flow into the dark places like the sweetest treacle. 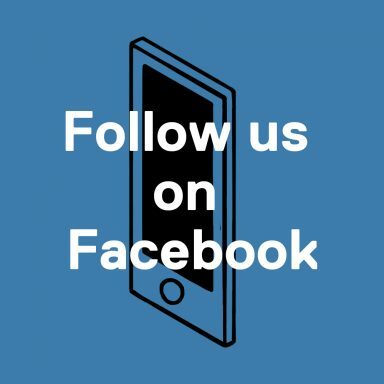 Darlene is played by British theatre actor and singer, Cynthia Erivo, who is on a fast-track to stardom with roles in Steve McQueen’s Widows, and thereafter films by Charlie Kaufman, John Ridley and Kasi Lemmons. “Singing’s singing” says Darlene with a smile, cutting through the maudlin mood induced by remembering Dolan’s prophecy. The film backs her, both in the adoring way it frames her character and by according with her philosophy in its own genetics. Bad Times at the El Royale is Bad Times at the Royale, which is to say movie art is movie art. Steve McQueen turns his formidable filmmaking talent to the heist genre with impressive and passionate results. 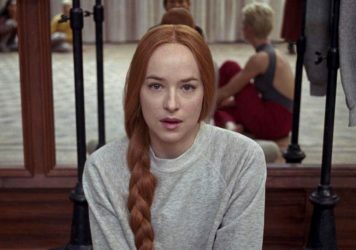 Dakota Johnson dances to an unfamiliar beat in Luca Guadagnino’s surprisingly naff horror remake. 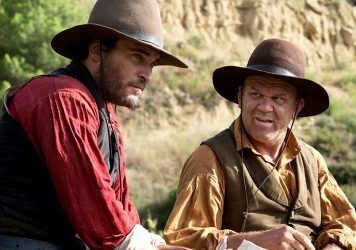 Joaquin Phoenix and John C Reilly play gunslinging siblings in Jacques Audiard’s warm-hearted western adventure.